Everyone loves giveaways, right? Well, now you can win prizes by leaving reviews! Indie authors thrive on reviews. It’s their bread and butter. Personally, I have read, or not read, a book based on its reviews. Not always, but sometimes. 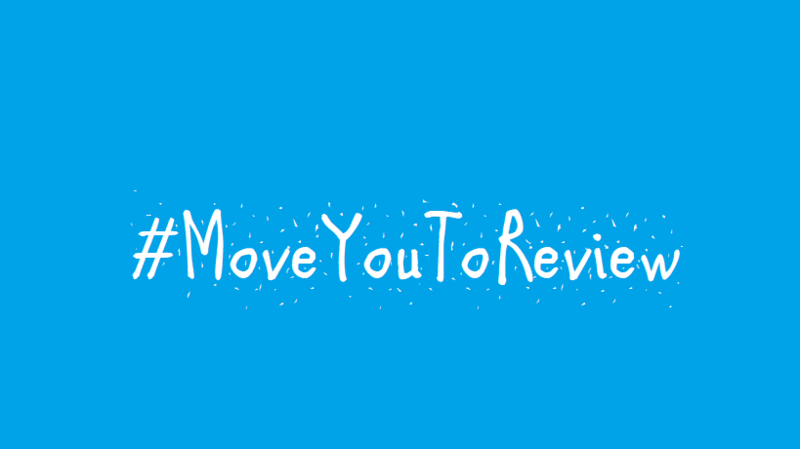 Therefore, we are starting this #MoveYouToReview campaign, hoping to gain awareness of the importance of reviews, to teach readers how to leave a review, and more importantly, to gain more reviews for authors who so deserve it! We do ask, though we will not enforce, bloggers to refrain from participating. Many blog tour hosts already have incentives for bloggers to leave reviews. This campaign is for everyday readers. Conversely, I will say that I hope participants use their reviews to start their own blogs in support of the authors they love! How this works: Every month, there will be a new Rafflecopter. You leave a review on Amazon, B&N, iTunes, Goodreads, etc. (or all please!). Post the link (one link for one book) to the Rafflecopter entry. Gain one point toward the prize. There will also be newly released books and ones from featured authors who graciously contribute to the monthly prize, to which two points can be gained by reading and reviewing their books. For reviews to count, they must have gone live in the month participating! Entries will be monitored. If someone links a review that was written prior to participating month, they will be disqualified. Winners will be picked randomly via Rafflecopter, pending assurance that all rules were adhered. Chances of more than one winner will be based on the number of prizes per month. Authors interested in participating, fill out the form below.